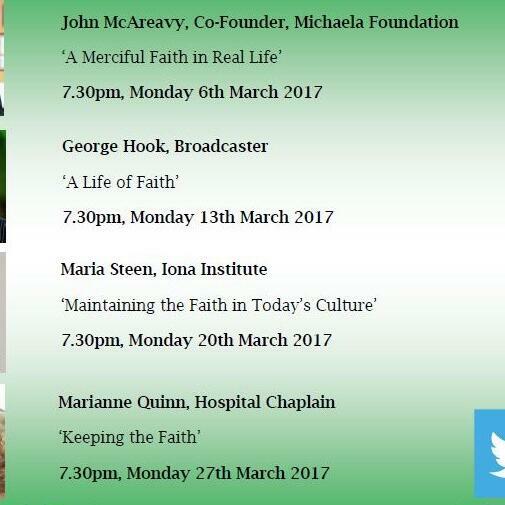 The third Monday at the Monastery talk for Lent 2017, hosted in St Joseph's Parish Church, Glasthule. Maria Steen of the Iona Institute gives a fascinating and detailed talk on Maintaining the Faith in Today's Culture - including how to stay true to the tenets of the faith, finding courage in moments of adversity, and much more. In this challenging and insightful talk, Maria gives renewed hope to those who follow a counter-cultural Christianity.